A report from the Far East on Tuesday says struggling LCD manufacturer and Apple supplier Sharp is ready to ramp up display manufacture for the next-generation iPhone, with mass production slated to start next month. 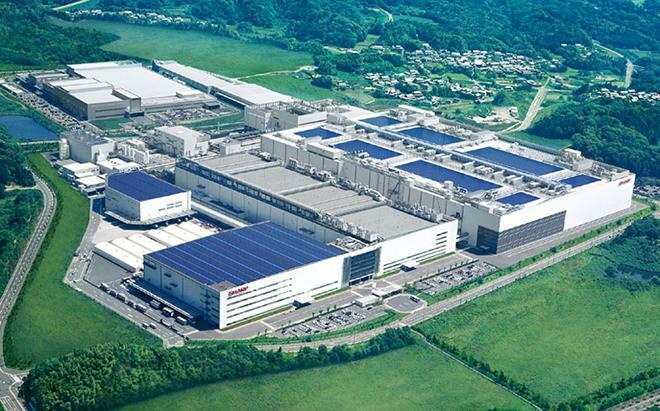 Sharp will supposedly be using its Kameyama Plant No. 1 to churn out LCDs bound for the so-called "iPhone 5S," Apple's much-rumored next-generation handset expected to see release in the third quarter, reports Japan's Nikkan Kogyo Shimbun (via Kodawarisan). The Kameyama facility has seen poor utilization rates as Sharp's LCD business waned in 2012, with the plant's use dropping to some 40 percent of its 600-million unit per month maximum capacity. Once one of Japan's consumer electronic giants, falling revenue has forced Sharp to take on investments from outside corporations like Apple suppliers Foxconn and Samsung, the latter of which recently became the firm's largest foreign stakeholder. In addition to Sharp, the publication reported that Japan Display, a company combining the display arms of Sony, Hitachi and Toshiba, and LG Display have also received orders, with mass production at those firms already underway. Apple's next-generation smartphone is expected to retain the same display as the current iPhone 5, with rumored upgrades being a fingerprint sensor, faster A7 SoC and inclusion of the iOS 7 mobile operating system, among others. Analyst Ming-Chi Kuo in April noted that issues relating to the implementation of the fingerprint sensor, as well as delays in iOS 7 development, could force a later than usual release schedule for the handset. Also rumored to debut around the same time as the flagship iPhone 5S is a new, more affordable model that could be positioned to address a larger segment of the smartphone consumer marketplace.